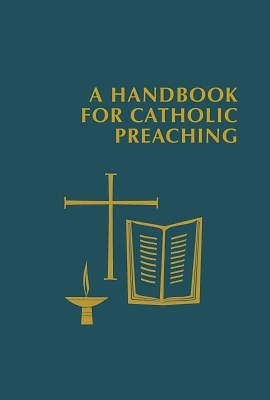 While admitting particular parameters and priorities for Roman Catholic preachers, this volume was intentionally envisioned as a handbook for "catholic" preaching in the broadest and most universal sense of that term. Cosponsored by the Catholic Academy of Liturgy, the Catholic Association of Teachers of Homiletics, and the Federation of Diocesan Liturgical Commissions, it covers the role of the Scriptures in preaching, the challenges of preaching in a digital age, sermonizing in an interfaith context, and the need for a liberative and prophetic word that cuts across denominations and even faith traditions. Intended to aid those who teach or direct the preaching arts, the design and writing style of this book are particularly calibrated to graduate students in ministerial studies. Every article is a self-contained overview of a particular historical period, genre of preaching, homiletic theory, or contemporary issue. This more encyclopedic approach devoid of footnotes, yet supported by pertinent bibliography and an extensive index provides a sufficiently rich yet thoroughly accessible gateway to major facets of the preaching arts at this stage of the twenty-first century.